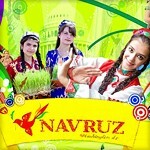 Washington DC: The Navruz in D.C. Celebrating Navruzi in Washington DC, having fun, dances, musics, sketches, games, food, and new friends and more. We will make it unforgettable event of the year, together. Join us, give us more ideas and support the Tajik Community for a better future.